Writing this, I have a feeling similar to the one you get when you show up to a wedding or party and see that very close friend who you have been horribly bad at staying in touch with. So let me just get it over with: I am sorry it has been so long since we have talked. I will do my best not to go so long before we talk again. There. Done. Now how about we grab a drink and some hors d’oeuvres and do some catching-up? I should make it clear though that while I have not written a blog in a while I do send out quite a bit of news on my twitter account and often answer questions there as well. If you are not already following me you should @iRacingMyers. Sometimes I even give away random crap I steal out of the marketing closet or off people’s desks. The good thing about going so long without talking is that there is so much to catch-up on. It’s only been…..cough…cough….seventeen months since I last did one of these, so I will do my best to include some stories and updates here that you will find interesting enough to forgive my lack of a blog for so long. Travis has also been working as a part-time interior decorator for iRacing and has donated some wonderful pieces of art for our walls with the help of our friends at Revolution Racing! 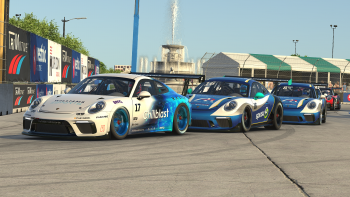 Let’s start by touching on some of the interesting developments on the partnership side of iRacing since my last last blog. I am sure by now that everyone is aware of our partnership with Travis Pastrana. If you haven’t seen the special episode of iRacingTV we shot down at Langley a few weeks ago I would recommend watching it. We shot the entire interview in one 30 minute take and what you see is exactly what came out of his mouth, unscripted. In the “I thought it was dead and buried and it came back to life” category, I am happy to announce that we have worked-out a deal for the scan data for Interlagos. I don’t have it physically in my hands yet but I would not be writing this if I did not feel confident that it was happening. We also have iRacing member Frederic Jay to thank for resurrecting the conversations with the city of Montreal to the point that I can now say we will be building Circuit Gilles-Villeneuve. The fact that Frederic was able to do this for an office full of Bruin fans is to be commended, although he may not be able to go home now that this is out. A question I get quite a bit is “When are we going to have more makes in the NASCAR world in the sim?’” Well, I am happy to announce that I have signed the new Ford Fusion and Mustang, and am working on adding the SS and Camaro licenses as well. I am also working on the Toyotas but can’t make any promises there yet because I don’t have an existing agreement to amend with them. We are going to do everything we can to get two of these cars ready for the start (or shortly after the start) of the 2013 season but, quite frankly, the cars are still changing. From what I hear the die-cast makers are on the verge of creating an international incident over this….. Staying with the NASCAR theme, we will plan to head out to Kansas to scan the track this fall, now that the major renovations are complete. We will probably bite the bullet and head out west to California to scan Auto Club Speedway as well, which would complete our roster of Cup series tracks on iRacing once both tracks are complete. I am sure the day after we leave California with data in hand, the speedway will be bull-dozed and turned into a road course . . . I would venture to guess that 80% of the questions we receive from iRacing members involve when certain cars or tracks will be released. Here is the current schedule of what is in production: Zolder will obviously be coming out next, followed by Oran Park and then Rockingham. We are shooting to have both Oran and Rockingham ready for the Season 4 build that should go out the last week of October.  As for cars, we are working on getting the NTM on the Lotus 79, Sprint Car, and Silver Crown car for the next build. We are also working on the McLaren MP-4 GT3 and Lotus 49 but I have no update on when those will actually be finished. However, they should be the next two new cars to come out. I get a lot of questions about the Ruf Rt 12 R and when it will be built, etc. As of now we are still in the data collection process for the car. Actually physically getting our hands on the Ruf is turning out to be quite a problem because they are so rare. My plan is to win the $305,000,000 Poweball lottery on Wednesday, and I will buy one so we can dissect it for the good of the community. Now that this blog is out, I’m sure the next round of questions will start as to when Montreal, Interlagos, and the Ruf will be done (not to mention the rest of the three year back log we have on content to build). The only people happy about this backlog are the art and production staff who are feeling very comfortable with their job security right now…. A long term project, longer then we had estimated by quite a bit, is team racing. The best way to explain what has happened with this project is to compare it to rebuilding the foundation of an existing house, then redoing all the plumbing and electricity, all without the family that lives there knowing we did it. There had been over 150 files changed already on this project which could not be checked-in until we are actually committed to getting them into a build. We completed that last week and are shooting to get live spotters into the sim for the next build. Hopefully, the driver changes and crew chief functionality should be in the Season 1 build but that could be optimistic. The web team will have a lot of work to do to incorporate team racing but they do also plan on continuing work on the very popular league racing functionality. We have received a lot of great feedback and feature requests which we will evaluate for inclusion in the sim and feel confident the next build will include some of those features. Another one of our longer terms projects has been converting the sim to x64 which is nearing completion. It will be a fun few weeks of testing with massive file check-ins for team racing and x64! I will be wearing a referee jersey and whistle to break-up the fights over who broke the testing build today. Converting the sim to run native on 64 bit processors opens-up a lot of options for us on the technology side of things, especially when combined with the upcoming planned port to DirectX 11. However, since porting an entire graphics engine to DirectX 11 is a very large project, there is still one important piece of our current DirectX 9 based graphics engine that we’re already working on improving right away. We’re attempting to replace the shadow volume implementation with a version of shadow mapping, which should substantially out-perform shadow volumes on most systems. If the shadow mapping conversion works-out as planned it will be a great graphics improvement. Continuing with the theme of longer term projects, Dave continues to dive deeper and deeper into the abyss with his trusty copy of “Polymer Physics” by Michael Rubinstein and Ralph H. Colby, as well as countless other math-heavy works. I think Dave is actually participating in some kind of social experiment on whether it’s possible to physically change a human into a quaternion equation. In all seriousness, Dave continues to make progress with his next advancement of the tire model (or N5TM as he calls it) and, yes road course racers, he is aware the cold tires are too fast right now. Based on the progress the model has made so far, there is optimism that N5TM is going to solve this issue. As with previous iterations of the new tire model we will probably look to roll out a handful of cars at a time when it is ready to go. One project undergoing a long term overhaul is the sound engine. We have been doing an extensive revision of the entire sound engine in preparation for moving away from DirectSound towards the more modern XAudio2 framework available in Vista and Windows 7. This work is continuing. As an early part of this restructuring, FMod will be gone in the next build. This project will lay the groundwork for us to add new features and sounds that we have not been able to include before. We have a number of shorter term items we expect to address in the next few months as well. These are by no means “easy” projects, but we don’t anticipate they will take a year to complete. For example, we’ve started work on building a proper turbo model for our engines, a model which will be needed for the McLaren and the Ruf. We have also been working on all-wheel drive, which will likely allow us to make both a rear wheel and all wheel driver version of the Ruf. I have a feeling the rear wheel drive version of the car will be for fun and the all wheel drive for racing! We have a wish list a mile long for things that we want to build IN the sim world to try and add more life to the sim. These projects are often picked up at random times throughout the year when an engineer or the production staff has a window of availability open-up, typically because they are waiting for someone else to finish something they need done. Projects falling into this category include continuing work on adding course flaggers to parts of the track other than start/finish, particularly on the road courses. We want to also look at adding-in the accumulation of dirt and oil on the windshield, and backfires from the exhaust. As well, we want to look at starting to add time of day changes into the sim, but that is probably a much longer term project, one we’ll tackle after moving to DirectX 11. In our last build it seemed that adding hover-over-help in the garage for the oval vehicles was well received, so we are working on incorporating the same functionality in the road car garage as well. This was my old excuse as to why I am no longer competitive in the sim, so it would seem I need to come up with a new one. As you can see, our work here at iRacing is a balance between massive changes in the foundation of the service and smaller projects that produce tangible improvements immediately. A lot of what we have planned for the future required these significant changes behind the scenes to position us for important developments in the years to come. We appreciate the loyal support we have from our customers and we are excited about bringing these projects — and much more — to you over the next year. I hope you all had enjoyable conclusion to your racing seasons. Now I am heading to the bar for another drink! Steve Myers is the Executive Vice President and Executive Producer of iRacing.com. His day to day activities include over seeing and coordinating production, engineering and licensing and trying to get many far more intelligent people than himself heading in the same direction. Steve has been with iRacing since the doors opened in May of 2004 and previously was a Producer at Papyrus Racing Games since early 2000. In his spare time Steve enjoys watching from his comfortable couch all forms of sports including motor racing and occasionally will drag himself to an actual event. Steve lives outside of Boston Massachusetts with his wife and two daughters. Happy to hear work is being done on the foundations of iRacing. A lot of software companies neglect this under the pressure to bring out more and more features that users notice directly. In the long term however, this is the way to go. Great news! Thanks again. Looking forward to the advancements. Nice work, guys. Looking forward to all the new things coming soon. Great news about the Fords! Any word if that license extends to the Ford F150’s they run in the truck series? No mention of NJMP, it has been listed as an upcoming track. Any updates on that front? Great update and exciting times ahead. Thank-you. Knowing how fast it’s been going so far, you just outlined 10years worth of work. Thanks for the update, nice to see several project also on the technology side of the platform! One thing I miss though, which is an increasingly large fidelity problem with better FFB wheels coming to market, is the move from 60 Hz FFB update rate to something considerably higher (which is already available with competitor(s)). Can you say anything about your plans for this? super excited with the new things coming up especially interlagos and montreal. loved all the other upcoming updates as well! super super super … i would like to see updates to the pit radio features as well .. I love this style of update, lots of fascinating info without making promises that will come back to bite you on the @rse. As you drive from Sydney Airport to bathurst, stop at Eastern Creek Raceway and scan it, then do Bathurst, then head a little south to Wakefield park, go to canberra and jump on a plane to QLD, scan Lakeside and then Qld Reaceway at Ipswich. Jump on another plan to Melbourne and scan Sandown raceway, then head to NZ and scan Pukekohe. Done. You will then have plenty of V8 content and 2 local tracks which most people who race have done some type of track day on. If you want to add another trip in Melbourne, head north to Winton and scan it, most Melbourne base V8 teams practice there as well as QLD raceway, might get more interest from real life racers like Scott Mac and SVG. Beyond thrilled to hear about getting more manufacturers for NASCAR. That has been at the very top of my wishlist since I joined. Awesome news!!! So excited for this . Great stuff, looking towards the great things to come! Thanks iRacing!!!! Queensland raceway is a home test track for a large number of Australian V8 teams, while it’s not the longest or most interesting track, it would probably be the easiest to scan (and develop) if you were short on time. The entire racetrack is viewable from start/finish line and it was recently resurfaced. It also has multiple configurations. ahh isn’t that cute. 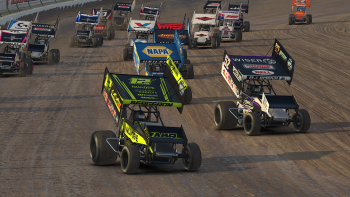 Talk of DX11 in iRacing. Nice to see ISI and SMS with their rF2 and pCARS titles respectively have got your attention. What about the DW12? I was told at Homestead last November that you guys were working on that.? I dream about Nurburgring in IRacing… Because it costs me too much time and money going there from Brazil, not something I can do every year even though I’d like to it every month hehe. I know other games have it but I think they are all *****. Keep up the good work! 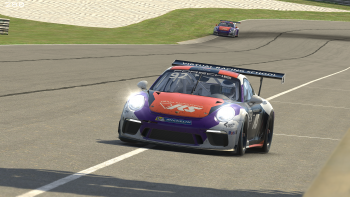 Unfortunately I don’t play as much as I’d like to but its nice to know that sometimes, when I can’t take my car or my motorbike to the racetrack, I can relieve my stress and feed my competitive edge in IRacing. Even though my IRating is usually ***** I can still have my laughs! 1. What’s the likelihood we’ll see the DW12 before the next “500”? Running two iRacing.com Indy “500”s with the old car wouldn’t sit well with the Dallara community here. 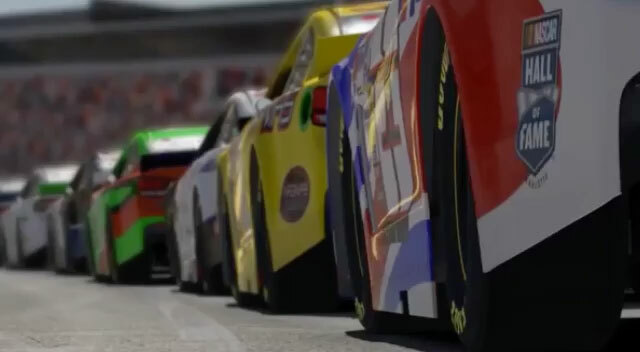 I understand demographics and why promises are being made regarding NASCAR, but let’s imagine what would happen on that side of iRacing if the cars were two years out-of-date. They got the COT, and nose and spoiler updates before they were raced. 2. What became of Indianapolis Raceway Park? This is a track sorely needed by Sprint and Silver Crown racers to keep them off some of the bigger tracks or avoid repeats. 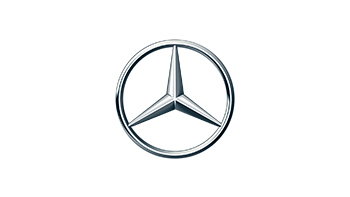 Also, don’t forget that Star Mazda goes there, too. I can’t help but think this is NASCAR-driven, as well… No NASCAR there now, so did it get “back burnered”? I take my hat off too you guys for all the work you have done to this SIMULATOR(I hate it when people call it a game. A game is something you play with not hone your skills. I have shown iracing to a few friends of mine who race professionally for a living and all have said the same thing. “It’s about as close as you’ll get to the real thing.” Thank you guys for the many hours of fun filled racing. And on a final note, can’t wait for bathurst! 1 word Brilliance,, you know coming from the rF background its soo refreshing to hear a VP speak about improvements and candidly speak about progress. iRacing is as Real as it gets IMO to what comes as close as driving the real race cars.. So happy to hear the revamping of the sounds engine.. many of the road cars are lacking in proper sounds… Been an iRacing member for 5 months now and I have been impressed with every little progress made.. P.S. you made no mention of the Honda HSV.. can you touch base on that in your next blog.. please and thanks..
I’d say for the next Australian track the Adelaide “Clipsal 500” track – which is also the old Formula 1 track with a slight change. It’s the largest event in the V8 calendar, including Bathurst. Or put a vote out? The original Gold Coast Indy car street circuit in Queensland Australia was fast and fun and visually outstanding. Give me the Lotus 49 and I promise I’ll be happy for quite a while. Wow! Sounds like you all are really busy…looking forward to all the great stuff, thanks Steve! I need to poke myself, I wanted Montreal, DX11 and Brazil so bad! I started my own business earlier this year so I havent been on the sim in over 6 months. Getting ready to head into the busy season so I likely wont be on it until december at this point. I do have a suggestion for a feature though. Being able to flash the lights on the sports cars would be awesome. It would add a bit of realism since the pros do it. Would certainly help with multiclass racing and help with that bit of a distraction when hounding a driver in front of you. I would imagine it would be a reasonably quick feature to add as well. One of those that could be done during some down time. A track that wouldn’t be too much hassle given its incredibly short length is Symmons Plains in Tasmania, Australia. The V8s race here. You can fly direct to Launceston from Sydney too. Adelaide or ECR would be my picks for the other Australian track. That said, Auto Club is about to be my new home track, so it’s good to hear it should be making it in. Thats awesome news! Thanks for scanning California Speddway, Steve! All sounds like good stuff. No mention of BTCC though. Any idea of a date on that? Here are my selections for Australian tracks to scan. Let me know if you require any volunteers to help your staff as I would love to see the scanning process in action. Great news about more Aussie tracks, My fav apart from bathurst was always phiilip island, then sandown. Stu is correct in saying that eastern creek is on the way to bathurst, but there hasnt been any v8 racing there for years and will start again this year with a new track upgrade and layout, but i think phillip island would have to be the most well known international track in aus apart from bathurst. please keep us informed.. Sorry my previous post voted for phillip island that is alreay avalible my bad.. So my vote goes to sandown..
LAKESIDE! Heritage listed (protected) race circuit that all the greats raced at, Brabham, Clark, Hill, Stewart etc. 1. No love for Winton Raceway, VIC yet, but I’ll give it some here. 4. Offering up something a bit different, Symons Plains, TAS. Very short circuit but the hairpin is quite unique. Or what about a street circuit? The Surfers’ Paradise Indy circuit? The Albert Park F1 Circuit? The Adelaide 500 circuit? So many to choose! I don’t envy you having to make the choice! Steve, I Loved reading the article and I can’t wait for all those features. I try to get as many people interested in iRacing as possible to help you guys and us the great Iracing community. 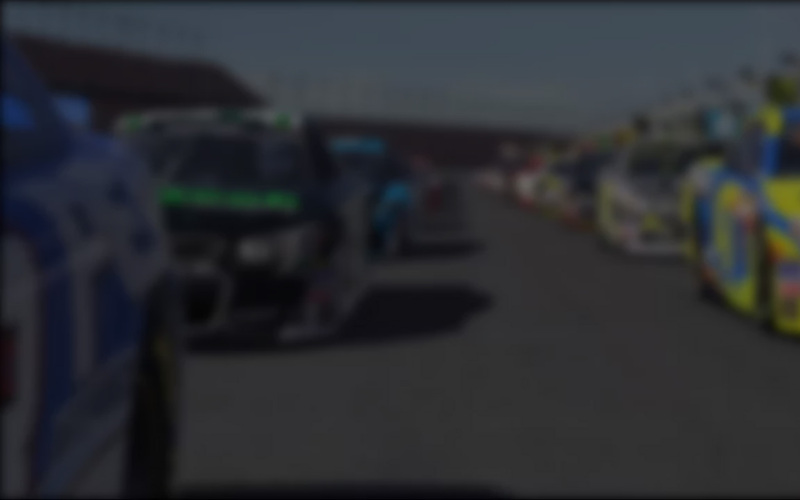 Just please make sure driver swaps are up and running, well tested and released “with” Bathurst. People will riot in the streets if this cant be done…..
As for other Aussie tracks, Eastern creek makes financial and geographical sence to scan, has multiple layouts and generally well recieved by most. V8’s will only race there this year because an overseas round failed to come up with the cash…. So its a one off race. However, still a popular circuit. Sandown is iconic in its history on Aus motor sport and would be just as good, if not a better recieved addition. Scanning both would have Aussies wetting the bed at night in anticipation….. Queensland raceway is also a multi layout circuit and well worth considering, And knowing a little bit of its background, an easy deal to secure one would think. Also dont forget pukekoe in NZ, a very popular track and one for the kiwi’s. 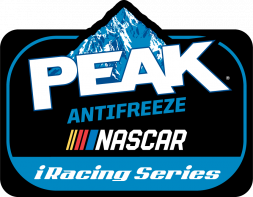 Thanks for the blog, please do these a little more often as they are a great way to close down the idiots in the forums who constantly blame iRacing for the entire runination of thier life….. And keep the fan base, very, very excited. Will there be an update to the transmission model now that we will soon have several B+ cars (49, 79 & Ruf) with manual transmissions? Will the 49 be an A car with manual transmission only? How do the chances stand that we can drive on Long Beach in 2013??? I’m very disappointed Cadwell Park wasn’t added to this new Brit trip! Is there any reason in special on why the track which received the most votes in many polls in iRacing did not make it? Thanks. With the new U.K tracks, any plans on bringing the Ginetta brand to IRacing? With the BTCC content coming next year the Ginetta G50 and G55 would bring two good cars to the GT catalogue. With the Ginetta GT Supercup supporting the BTCC, it could have it’s own multi class series or fit in with another one 🙂 You have a few of the Ginetta G50 drivers on the service as it is. I find ECCI wheels (non-ffb) do not perform well, because of the 240 limitation, I wish iracing would come up with a solution for that. I am always impressed with the ongoing improvements, investments, and dedicated work that all the iRacing staff put forth to make the iRacing sim a “World Class Racing Simulator”. Nice post Steve with some humor in it. Sounds interesting all those features and changes. Great post. Nice to hear the NTM is finally coming to the Sprints and Silver Crown cars. To go along with that, can we get new information on what happened to IRP? The Sprint drivers are really itching to get on that track, as it will no doubt be a core track to use in our schedules. Also awesome to hear that the Fords will finally be making their way to the NASCAR A and B series. I would feel more comfortable driving a simulated Ford than a Chevy, but that’s my preference. I’d imagine street circuits would be difficult to scan for obvious reasons, so when in Australia, my vote is for Sandown, Victoria. Eastern Creek (now Sydney Motorsport Park) would probably make more sense for you though. I’m from Brazil, but I vote for Sandown Park for the next Australian track to be scanned by Iracing! A track you should scan is Trois-Rivières, QC. It is a street circuit, but only 1.5 miles in length and not lot of objects like street lamps, etc. ALMS raced there, Indy Lights, Star Mazda, NASCAR Canadian Tire Series, Spec Racer Fords, Sportsman Québec (late models like the Monte Carlo SS offered in the service) also with the Mazda MX-5 series. Also, it is the first street circuit in North America, first race there was in 1967. Phillip Island to me seems a no brainer. As far as circuit layouts go, it’s a better drive than Bathurst. Only the atmosphere and hype surrounding Bathurst sets it apart. QR is unlikely to continue to see the Supercars after this year, attendance numbers are down of late and the teams would rather not be there. Sandown would definitely be on my list also. Would love to see the street circuits on there but understand the difficulties in scanning these. The other track of note would be Hidden Valley, Darwin, although this would be an economical difficulty as it’s so far from everything else. Mind you if you wanted to stop by Singapore on your way home, you could always go via Darwin. Phillip Island is such a no brainer that it has been in the sim for some time now. Great news!!!! Much looking forward to the foundation updates. The graphical updates to the damage model are ok for me since this is not a game but a sim. Though the switch to DX11 hopefully will help bring Long Beach to the service. Since there have been so many suggestions I thought I would through out one as well. One thing that I would like to see would be inclusion of an endurance series, and the McLaren GT3 would be a perfect car to do this with. The actual Blancpain Endurance Series races GT3 cars for 3 hour races not counting the Spa 24 Hours. Run the series as a 75 to 90 minute series with a round each season at Spa to be 30 minutes longer than normal. Hopefully those that want the endurance type of racing will be able to get what they want now and the advanced features of driver changes and live spotters will be greeted by a group of drivers who already know what a long race is all about. FYI I still use GTR2 to race the current Blancpain schedule of 3 hours each round and enjoy 4 hour races at Le Mans as well. Endurance racing is not for those who do not have an idea of what it takes to race for 3 or 4 hours. Just an idea to help the serive along and build a new type of racing as well in the service. It’s just a very versatile track. Not very hard to race, so it will provide for some constant, tight racing. It will galdly accommodate not just the V8, but other cars like the Cadillac, Mazda MX5, Jetta, Mustangs, and even open wheelers like the Skippy and the Star Mazda. As opposed to its driveability, this track has good heritage that all Aussies will associate with. Queensland raceway could be a quick and easy track for you guys to scan or if you have a bit more time on your hands you can’t go past Lakeside in Queensland. Jon Adams will be fun to watch in nascar iracing.com series world championship 2012 and Ray Alfalfa. It’s called the Nurburgring Nordschleife. I think everyone agrees this track is the best in the world. But, do you feel like scanning 26KM of roads, which are public roads? Again, for Australia – Adelaide street circuit. F1 and V8 layouts. Steve, don’t forget the turbo on the Jetta!!!!!! Is there ever a wet weather discussion? I understand if it weren’t realistically implementably feasible. It would just be awesome. Maybe after the Ruf is released.